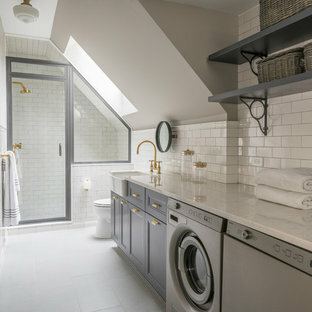 Scopri su Houzz la più vasta collezione di foto e idee per: Bagno con lavatrice. 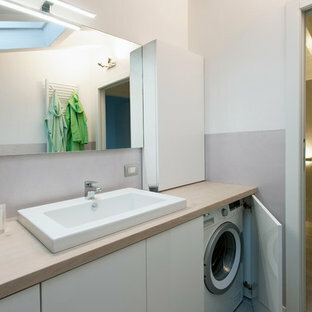 Sfoglia 139 foto sul tema e lasciati ispirare per il tuo prossimo progetto. 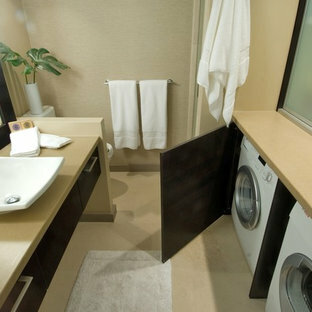 Renovate Master Bathroom to include new vanity, cabinets, laundry room space, glass, tile, plumbing, flooring, and lighting. 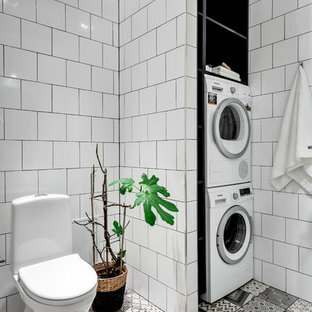 Photography by Eric Taylor. 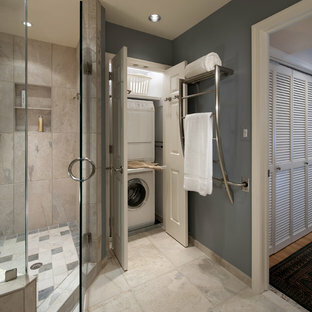 Di Karla Trincanello, CID, Interior Decisions, Inc.
Master bathroom transformed into a highly functional space! 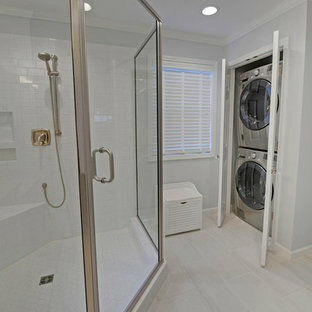 The original tub and shower were removed and replaced with a walk in shower and stacked washer and dryer. 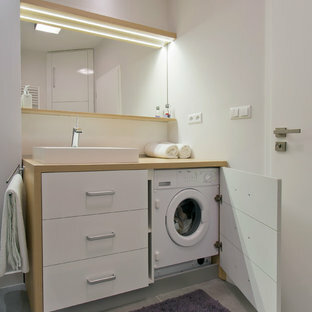 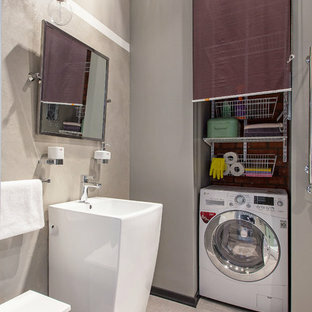 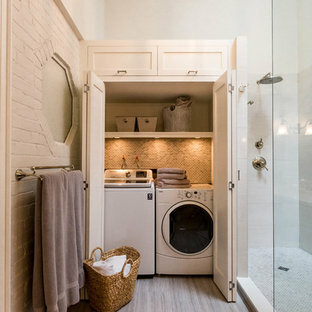 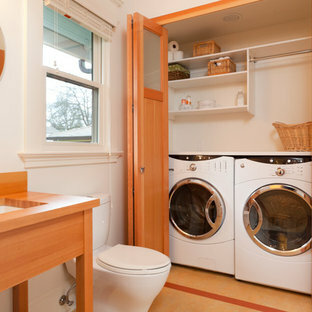 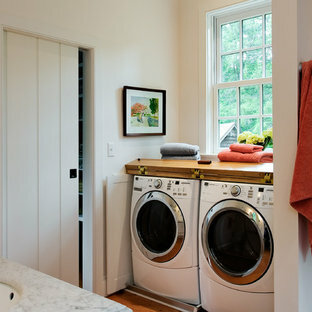 Washer and dryer can be hidden by closing two large retractable cabinet doors.